Stretching along the bay from Fisherman’s Wharf through Cannery Row, past the Aquarium and out to Lover’s Point, The Rec Trail is located on what was once the Southern Pacific Railroad Right-of-Way. Historic Monterey photos show steam trains chugging along what is now a stunning walking and biking trail. It’s a favorite for residents and tourists, whether early morning or end-of-day joggers, dog walkers, bicyclists, gossiping friends and couples sharing some special time. The views over the bay are breathtaking. 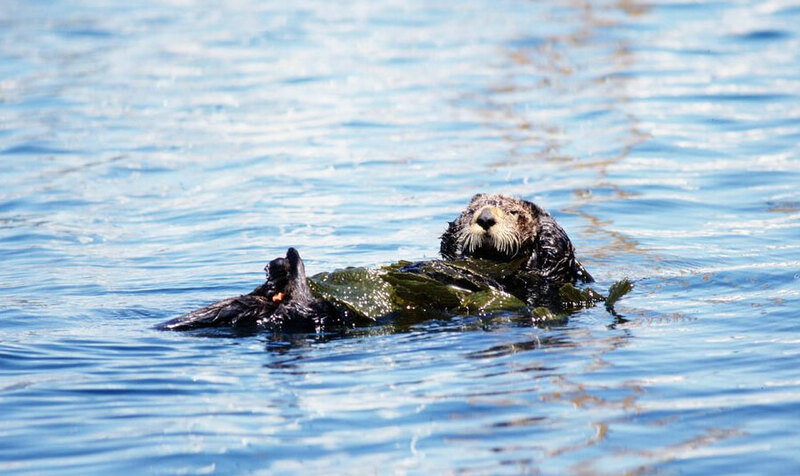 Watch for seals lolling on the sand, sea otters frolicking in the kelp beds; grey, blue or humpbacked whales - depending on the season; sea birds including long-beaked egrets and even the occasional dolphin. The trail has separate walking and cycling paths and serves as a major walking, jogging, and bicycling route along the northeastern coastline of the city. Step off the trail and check out the tide pools - keeping one eye on the ocean, of course - and their crabs, anemones, snails, kelp and more. Or take a picnic lunch with you and spend the afternoon on the sand. Monterey’s year-round mild temperatures make walking or biking The Rec Trail an everyday activity. However our summer fog can appear quickly and be quite dense, so tie a sweater around your waist before heading out - and don’t forget the sunscreen!